Administrative Law Judge Robert F. Helfand (ALJ), Office of Administrative Hearings (OAH), State of California, heard this matter in San Juan Capistrano, California, on April 18, 2011. James G. Campbell, Advocate who is associated with the Special Education Law Firm, represented Student’s mother and Student (Student). Student’s mother (Mother) was present for part of the hearing. Jennifer Guze Campbell, Esq., an attorney with the Special Education Law Firm, was also present. 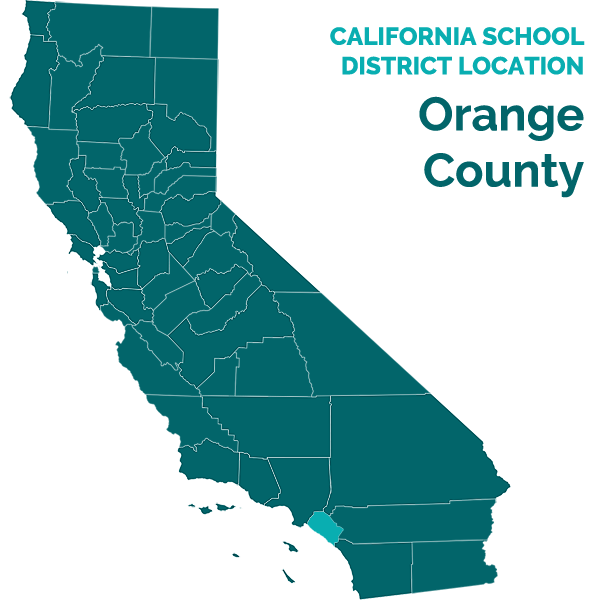 Ernest Bell, Esq., of Dannis Woliver Kelley, represented the Capistrano Unified School District (District). Dr. Crystal Bejarano, Informal Dispute Resolution Specialist for the District, was also present. Kimberly Gaither, a special education legal specialist with the District, was also present. The District filed its due process request (complaint) on March 7, 2011. On March 10, 2010, Student filed a response to the District’s complaint. At the hearing, the ALJ received oral and documentary evidence. The following witnesses testified at the hearing: Anthony Bogle, Terry Wellbaum, and Rebecca Shea Hirchag. At the request of the parties, the record remained open for the submission of written closing and rebuttal arguments. The parties filed their closing briefs on April 28, 2011. Rebuttal briefs were submitted on May 2, 2011, when the matter was submitted. The sole issue to be determined in this matter is: Whether the District’s January 5, 2011 occupational therapy (OT) assessment was appropriate? On April 4, 2011, Student filed a motion in limine to preclude the admission into evidence of the OT assessment report on grounds that the District failed to produce copies of the test manuals as part of Student’s education records. The District filed its opposition on April 11, 2011. The ALJ denied Student’s motion on the first day of the hearing on grounds that test manuals are not educational records citing Letter to Shuster, 108 LRP 2302 (OSEP 2007). Student then orally moved for the issuance of a subpoena duces tecum (SDT) to compel the production of the test manuals. After hearing oral arguments, the ALJ, taking into account the factors of the fair-use doctrine and balancing the equities, granted the motion for issuance of an SDT subject to a protective order.1 The protective order limited the use of the manuals to the hearing room only, prevented either side from copying any portion of the manuals, and restricted use of the manuals to the instant matter. The District then produced the manuals, which were reviewed by Student’s counsel and advocate. The District contends that the OT assessment was appropriate as (1) the assessor was competent and knowledgeable, (2) the assessment was comprehensive and tailored to evaluate a specific area of educational need, and (3) conducted appropriately. Student avers that the OT assessment was not appropriate because the assessor failed to administer one of the standard tests according to instructions contained in the test manuals.2 Student alleges that the assessor used gender neutral data, in lieu of gender specific data, in scoring the tests, failed to calculate confidence intervals and age equivalency, and failed to conduct a cross analysis. Student also contends that the written report failed to comply with statutory requirements as the report omits whether the assessor found that Student required special education services with an explanation of that conclusion. Student also alleges as an affirmative defense that the District must provide an Independent Education Evaluation (IEE) because the District failed to timely file its request for due process hearing. 1The ALJ cited on the record Newport-Mesa Unified School District v. State of California Department of Education (C.D. Cal. 2005) 371 F.Supp.2d 1170 as authority. 2Although Student, in her closing brief, makes the argument in general terms, Student did not contest the scoring of the second of the two standardized tests during the hearing. 1. Student is an 11-year-old girl who resides with Mother, her twin sister, and her grandparents within the geographical boundaries of the District. Student has been and continues to be eligible for special education under the primary eligibility category of Other Health Impairment (OHI) as Student has cerebral palsy, a ventriculoperitoneal shunt,3 and a heart murmur. Additionally, she also has low cognitive ability. All of these affect her ability to access the academic curriculum. Student was and continues to be placed in a special day class (SDC) at Crown Valley Elementary School (Crown Valley). 3. On September 22, 2010, Anthony Bogle, the principal of Crown Valley, forwarded a letter to Mother along with a statement of rights and an assessment plan dated September 22, 2010, to permit the District to assess Student in the areas of gross/fine motor development so as to address whether “possible fine motor and/or visual motor or gross motor skill delays impact [Student’s] ability to access her individualized educational curriculum/program” as well as the effect of gross motor skills in physical education activities. The assessment would be conducted by specialists in Adaptive Physical Education (APE), Occupational Therapy (OT), and Physical Therapy (PT). Bogle did not receive a response to his letter prior to the scheduled IEP team meeting of October 27, 2010. 4. Following the IEP team meeting on October 27, 2010, Mother consented to the proposed APE/OT/PT assessment plan by letter from her attorney, Jennifer Guze Campbell on October 29, 2010. 5. The OT assessment was conducted by Rebecca Shea Hirchag, a licensed occupational therapist who is employed with District. Hirchag received a B.S. in occupational therapy from San Jose State University in 2003. She received her certification in November 2003. From January 2004 through April 2006, Hirchag was an occupational therapist with the Evanston Skokie School District 65 in Illinois. She worked from April 2006 through January 2008 as an occupational therapist with an Irvine firm, Wertheimer-Gale and Associates, which provided OT services under contract with school districts. In January 2008, she began her employment with the District. Hirchag is the main therapist at Crown Valley and has worked with Student there. Hirchag has conducted approximately 500 OT assessments in her career. Based on her education and professional experience, Hirchag is a trained, knowledgeable, and competent to conduct the assessment. 6. In conducting the assessment, Hirchag conducted a records review, teacher and parent interviews, observations of Student in clinical and educational settings, and standardized testing. The standardized tests administered were the Bruininks-Oseretsky Test of Motor Proficiency, Second Edition (BOT-2); Beery Buktenika Development Test of Visual Motor Integration, Fifth Edition (VMI); Sensory Profile School Companion (SPSC); Sensory Processing Measure Home (SPM-H); and the Sensory Processing Measure Main Classroom (SPM-MC). The VMI had been administered by Hirchag on October 12, 2010, as part of the multidisciplinary assessment conducted for Student’s triennial assessment. The standardized tests were administered using the standard protocol outlined in the test manuals. 7. Hirchag testified that she administered the tests in Student’s native language, English, and that the tests are free of racial, cultural and sexual discrimination. The standardized tests utilized are valid and reliable for the purposes for which the assessments are used. Student offered no evidence to contradict Hirchag’s testimony. 8. Hirchag reviewed psychoeducational evaluations conducted in 2004, 2007, and 2010. She noted that Student’s academic abilities were in the low range and that she had a full scale IQ of 80 in 2004, 70 in 2007 and a general intellectual ability score of 62 in 2010. The evaluations showed that Student had strengths in the areas of spatial thinking, auditory processing and phonemic awareness. 9. Hirchag interviewed Mother as to her perceptions of Student’s strengths and weaknesses. Mother completed a questionnaire and reported that she does not see Student having any areas of strength and that Student “is considerably behind her peers in all areas.” Mother also observed that Student cannot hold a pencil or pen correctly which hindered her ability to write and perform tasks. Mother also reported that Student is performing at the kindergarten level in reading and math. 10. Student had been observed in her SDC class by Hirchag. She independently transitioned during center time. She demonstrated organizational skills by clearing her workstation and gathered items needed to perform a reading task. She was on task and followed directions and was observed assisting a peer to find the correct page in the book. Student appeared motivated and paid attention to the goings on in class. 11. Hirchag also observed Student in her weekly sensory group. She participated appropriately and properly raised her hand to gain the attention of the teacher. Although peers talked out of turn, Student stayed on task and did not talk out of turn. She maintained personal space and an upright position during the 30 minute session. Student demonstrated each of the sensory activities presented, and she was able to maintain prone flexion and sitting position on a large therapy ball. 12. During the assessment, Student was cooperative and able to complete all tasks without frustration. She maintained constant eye contact with Hirchag and was able to follow directions. 14. Student received scaled scores of 11 in fine motor precision and nine in fine motor integration. Her fine manual control composite scaled score equaled a standard score of 39 in the below average range. She received a standard score of 33 in the manual coordination composite which was also in the below average range. Her subtest scores were six in manual dexterity and nine in upper limb coordination. She also received a 13 in bilateral coordination, which was in the average range. 15. Student contends that Hirchag failed to administer the BOT-2 according to the test manual because she used a gender neutral table in lieu of a gender specific table in measuring Student’s scores.4 The BOT-2 manual recommends that a gender specific table be utilized, but it does not require the assessor to use it. The manual clearly states that it is in the discretion of the assessor to utilize either the gender neutral table or the gender specific table in calculating scores. Hirchag, based on her experience, believes that the gender neutral table is more reflective of a child’s levels at this age. Hirchag testified that using the gender specific table would not have led to a significant change in Student’s scores, if at all. Hirchag is a qualified professional who was credible. Student failed to offer any evidence to refute Hirchag. 4A gender specific table relies on data from either just males or females, while a gender neutral table reflects data combining both boys and girls. 16. Student also contends that Hirchag failed to follow the test manual when she did not calculate the confidence interval, age equivalency or conduct a cross analysis to ensure that Student’s scores were accurate. Hirchag did not compute the confidence interval nor the cross analysis as the test has a confidence interval of 90 to 95 percent accuracy. Since Student’s scores fell within the ranges, Hirchag felt it was unnecessary to make this computation. Additionally, Hirchag had worked with Student for a considerable time and was familiar with her abilities. She felt that the BOT-2 scores reflected Student’s abilities based on her knowledge of Student. Hirchag demonstrated that she is qualified and was credible. Student offered no evidence to contradict the testimony of Hirchag. 17. The VMI is a standardized test that measures visual motor integration, visual perception, and fine motor coordination skills. Visual motor integration is the degree to which visual perception and finger hand movements are coordinated. Student obtained a raw score of 20 which is a standard score of 77 and in the below average range. The VMI was administered by Hirchag on October 12, 2010, as part of the multidisciplinary assessment. In the multidisciplinary assessment report of October 22, 2010, Student’s VMI scores were also reported. In that report, Student’s 77 standard score was reported to place her in the sixth percentile and in a “low” classification. 18. Hirchag noted that Student was left-handed and used a functional tripod grasp with open web space. She used her right hand to stabilize her paper effectively. Student was observed while using scissors. Student demonstrated correct position and utilized bimanual skills to manipulate the paper while cutting with her right hand. Student was able to cut complex shapes with age-appropriate accuracy. She copied a circle, square, overlapping circles and a wavy line with perfect accuracy. Student’s score was adversely affected when she drew a six sided star instead of a five sided one. 19. Student exhibited an upright posture at her desk when writing. She used a left tripod grasp and exerted appropriate pressure on the paper with appropriate paper placement. She also stabilized the paper with her right hand 100 percent of the time. Her writing size was 100 percent consistent and her spacing was within 88 percent consistent. Hirchag noted that Student often misspelled words. 20. Sensory processing refers to the ability to receive, organize and interpret sensory information from the environment and from one’s body and to demonstrate an adaptive response. Using sensory information effectively permits a person to interact in the world around him or her. 21. The SPSC is a standardized assessment tool which measures a student’s sensory abilities and their effect on the student’s functional performance in the classroom. The SPSC is a questionnaire which was completed by Student’s SDC teacher, Manganiello. The importance of understanding a student’s unique sensory needs and challenges guides the occupational therapist in determining the strategies that can be utilized most effectively. The SPSC is analyzed in quadrant scores, school factors and environmental factors. 22. In environmental factors, Student obtained scores in the “typical” range in all areas. These areas were auditory – response to things heard; visual – response to things seen; movement – response to sensations of movement; touch – response to touch stimuli; and behavior – sensory responses. 23. Student also scored “typical” in school factors which included need for external supports; awareness and attention; tolerance for sensory input (i.e., tolerating changes in routine); and availability for learning. Students who are “typical” in all four factors are either functioning well in the classroom, or if troubles are noted, it may be that school factors are not the cause for the performance. 24. The quadrant scores are in the areas of registration, seeking, sensitivity, and avoiding. Registration measures a student’s awareness of all types of sensations. Student received a “probable performance,” which means that Student may notice things less than others and may not be bothered by things that bother others. Student scored “typical” in seeking, which is interest in and pleasure with all types of sensations, and avoiding, which refers to the student’s need for controlling the amount and type of sensations available. In the area of sensitivity, which measures a student’s ability to notice all types of sensation, Student scored in the “probable performance” range which means she has a sensitivity pattern which is that she has a high ability to notice all types of sensations. The result is that these students tend to be distractible, display hyperactivity, and direct their attention to the latest stimuli that presents itself. 26. The SPM-H is a questionnaire which was filled out by Mother. The SPM-H covers the same areas as the SPM-MC but as to the home environment. Mother rated Student as “typical” in the areas social participation, vision, touch, and body awareness. Mother rated Student in the “some problem” range in the areas of hearing, balance and motion, and planning and ideas. Hirchag pointed out in her report that Student’s scores in the area of balance and motion may result from Student’s cerebral palsy. Hirchag cites as an example, Mother stating that Student frequently avoids balance activities. 27 In her written report, Hirchag devoted approximately a page and a half to a section entitled “Sensory Observations.” In this section, Hirchag compiled the information from the assessment tools to summarize her findings as to Student’s strengths and weaknesses in eight areas: organization of behavior, vestibular processing, proprioceptive processing, tactile, visual, auditory, praxis, and tone/strength/range of motion. 28. Organization of behavior relates to a child’s activity level, attention, self-initiation, complexity and creativity of play, and response to change. During testing, Student was able to complete all tasks without frustration, appropriately used items, and engaged in all activities. Student was observed in her classroom to work independently and remain attentive. 29. Vestibular processing is the perception of one’s own movement and gravity, and includes muscle tone, balance, equilibrium, and postural control. Student exhibited adequate balance and postural control while seated during testing. During class, Student was observed to maintain an upright seated position which demonstrates adequate balance and equilibrium for academic tasks. She showed age appropriate bimanual skills as evidenced by her using both hands to cut and stabilize the paper. Mother, in her responses on the SPM-H reported poor coordination and that Student was “clumsy.” Hirchag noted that Student’s cerebral palsy may be the cause of Mother’s observations. 30. Proprioceptive Processing refers to the messages that one receives at the joints to adjust muscle tension in response to motoric movement. Proprioceptive processing provides the ability to automatically adjust in order to complete motor tasks accurately. Student was able to engage appropriately with utensils while writing, drawing and cutting. She was also observed to adequately navigate the school environment safely. 31. Tactile refers to information input regarding light touch, pain and temperature. Student demonstrated typicality in this area. 32. Visual processing is the ability to make sense of information taken in through the eyes. Mother noted in the SPM-H that light occasionally bothers Student and that she has had trouble finding an object when it is part of a group. 33. Auditory processing is related to the ability to filter salient information from sound. Student was able to navigate during the one-to-one testing where there is minimum background noise. In the school setting, she did not exhibit any problems as she participated even when there was maximal background noise and distractions. 34. Praxis consists of ideation, motor planning and execution of novel motor movements. Student was observed to navigate through a novel area without bumping into stationary items. She also engaged in various physical activities, such as jumping jacks and eye-hand coordination ball activities, without functional coordination problems. 35. In tone/strength/range of motion, Student presented with average tone, adequate strength and range of motion for school related tasks. [Student] is a 11 year old girl. Her IEP goals focus on math, reading, communication, and written expression. Her handwriting in the classroom is legible, however it is noted that misspellings impact readability, please see accommodations below for suggestions. She is able to complete written tasks in a timely and efficient manner. Her teacher does note that desk organization often impacts her ability to get started with writing assignments and projects. Assessment revealed fine motor precision and bilateral integration skills in the average range when compared to typically developing peers her same age. Scores for fine motor integration and upper limb coordination were slightly below average however in alignment with her academic ability. Manual dexterity scores were impacted by time. Please see accommodations in the chart below to assist [Student] in the classroom. With regards to sensory assessment, [Student’s] performance in the classroom and at home are very similar with typical scores across all environments with the exception of a “probable difference” score in hearing, balance and planning subsections at home. Scores in the balance and planning subsections may be elevated due to [Student’s] medical diagnosis of CP [cerebral palsy]. In the classroom, she is focused and attentive, she is processing sensory information with regards to her access of educational environment. 37. Following the summary portion, Hirchag lists Student’s strengths as fine motor precision in the average range; bilateral coordination skills in the average range, functional grasp; age appropriate bimanual skills; fine motor foundational skills secured; legible handwriting in the classroom; good attention and focus in the classroom; and follows directions well. 38. The report included a chart which lists Student’s five unique needs and the related goal, modification, or accommodation that Hirchag was recommending. The first unique need listed is “manual dexterity.” Hirchag recommended that Student be given additional time for projects, tasks, written work assignments, and tests. For registration and sensitivity, Hirchag recommended enhancing features of tasks and providing contextual cues; increasing contrast of stimuli; decreasing predictability to routines; and making all experiences more concentrated with sensory information. Student’s third area of need was difficulty with remembering content during written language assignments. Hirchag recommended that Student be permitted to dictate her thoughts to an adult and then be allowed to copy it. She also recommended that Student be allowed to dictate her test answers. The fourth area was Student’s misspellings which decrease the readability of her written work. Hirchag recommended that Student be encouraged to edit her work multiple times, and that she use a computer to type her work and utilize spell-check. The last area of need was desk organization. Hirchag recommended that organizational strategies be used per that specific goal of Student’s IEP. 39. Student’s IEP team met on January 12, 2011. The purpose of the meeting was to review assessments in OT, Adapted Physical Education, and Physical Therapy. Mother attended with her advocate from the Special Education Law Firm, Wiley Campbell. District attendees were Bogle, as administrator; Manganiello; Hirchag; a general education teacher; two speech pathologists; two school psychologists; an APE teacher; two school nurses; physical therapist; and a literacy specialist. Hirchag presented orally her assessment report. Prior to the meeting, Hirchag provided Mother with a written report.6 Following Hirchag’s presentation, Mother called her assessment “stupid.” The only comment Mother made was that Student holds her scissors in an incorrect manner. 6Following the meeting, Hirchag amended her report to correct a typo which appeared on page four of the report. Hirchag changed the word “shape” to “shapes” in the section on Fine Motor and Visual Motor Skills. The reason for the change was that Student had cut more than one complex shape. On behalf of [Mother], we hereby disagree with the occupational therapy report presented at the IEP team meeting on January 12, 2011. On behalf of [Mother], we hereby request an independent educational evaluation for occupational therapy for [Student]. 41. Bogle received the January 25, 2011 letter on January 26, 2011. Bogle notified Dr. Crystal Bejarano, the Informal Dispute Resolution Specialist for the District and others who were involved with Student. Bogle attempted to gather information to determine whether the OT assessment was appropriately done. On February 23, 2011, Bogle wrote to Mother that her request was denied as the OT assessment had been “complete and thorough.” The District filed its complaint on March 7, 2011. 9. Based on Factual Findings 5 through 16, Student’s contention that the assessor failed to follow the test manual for the BOT-2 is without merit. Student bases her contention on the manual suggesting that the assessor utilize gender specific tables rather than the gender neutral table. The manual clearly stated that it was in the discretion of the assessor as to whether the gender neutral or gender specific table is used. Hirchag, based on her experience, used the gender neutral table. This was within the manual’s instructions. Student also contends that Hirchag failed to calculate confidence levels or conduct a cross check. Hirchag testified that she felt these were not needed as the test’s confidence level was between 90 and 95 percent and the scores obtained were consistent with her knowledge of Student as her OT provider. Student never requested that the assessor score these areas, which could easily have been accomplished. Hirchag was a credible witness whose testimony was not contradicted. 11. Based upon Factual Findings 39 through 41, the District did not delay filing its due process hearing request. Student’s mother never voiced the reasons for her dissatisfaction with the OT assessment. Because of the lack of information as to the basis of Mother’s IEE request other than she “disagrees” with Hirchag’s assessment, the District had a right to review the appropriateness of the assessment before determining whether to grant Mother’s IEE request. Additionally, Student cites to Pajaro Valley Unified School District v. J.S. (N.D. Cal. 2006) 2006 WL 3734289, 47 IDELR 12, 106 LRP 72283, to demonstrate that the burden of proof is on the District to prove that it acted without unnecessary delay in filing for due process. The Pajaro court held that three months was considered unnecessary delay coupled with the actions of the District to force parents to refile their IEE demand. A two month delay has been held to not be an unnecessary delay. (J.P. v. Ripon Unified School District (E.D. Cal. 2009) 2009 WL 1034993, 52 IDELR 125, 109 LRP 22025.) Since the delay was forty days, slightly more than a month, the District did not take undue time in filing its due process request. 1. The District’s January 5, 2011 Occupational Therapy assessment was appropriate. 2. The District is not required to fund an Independent Educational Evaluation in Occupational Therapy. Pursuant to California Education Code section 56507, subdivision (d), the hearing decision must indicate the extent to which each party has prevailed on each issue heard and decided. Here, the District prevailed on the single issue heard in this matter.